New Jersey's most impoverished schools are reaching less than half of their low-income students with federally-funded school breakfast, mainly because many continue to serve breakfast before school when most children have not yet arrived, according to a report released today. According to an analysis of state data conducted by Hunger Free New Jersey and the national Food Research & Action Center, 648 New Jersey public schools fall under the new law, which requires schools with 70 percent or more students enrolled in the free or reduced-price school meals program to serve breakfast after the bell. These schools account for more than half of all students enrolled in the federal school meals program. Yet, in October 2018, just 53 percent of these students received school breakfast on an average day. More than 137,000 eligible children did not receive breakfast, despite being enrolled in the program, the report found. If these high-poverty schools achieved 80 percent student participation, they would collectively receive an additional $30.4 million in federal funds, based on FRAC's analysis. These funds could be used to combat childhood hunger, removing a major obstacle to learning, the report said. Statewide, school breakfast participation slid for the second straight year, declining 5 percent from April 2017 to October 2018. Despite this setback, statewide participation is still up 65 percent since 2010 - the year prior to the launch of the New Jersey Food for Thought Campaign, which aims to address childhood hunger through expanding participation in federal child nutrition programs. In October 2018, 208 schools - or about one-third of the 648 high-poverty schools - were feeding at least 70 percent of eligible students, the report found. These schools are most likely already serving breakfast after the bell because it is very difficult to reach that level of participation with before-school programs, LaTourette explained. But, 42 percent of these high-poverty schools - or 272 schools - fed less than half of their low-income students in October 2018. 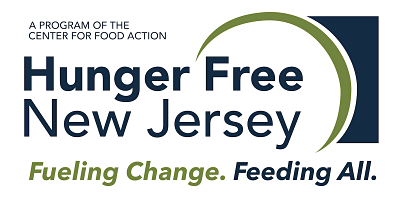 To read the full report, visit hungerfreenj.org. For more information about school breakfast and other child nutrition programs, visit njfoodforthought.org.